A decision tree is the ultimate tool for streamlining internal processes, customer communications, and various problem-solving or support methods. When presented in a custom, interactive environment, the potential for decision trees to really make an impact becomes much greater. Once you identify your goal, it’s important to put together an in-depth outline to make building and connecting your decision tree nodes much easier. Creating a decision tree is a snap with the right tools. Zingtree’s toolkit makes building decision trees accessible to anyone, offering 3 unique and easy-to-use options for creation. 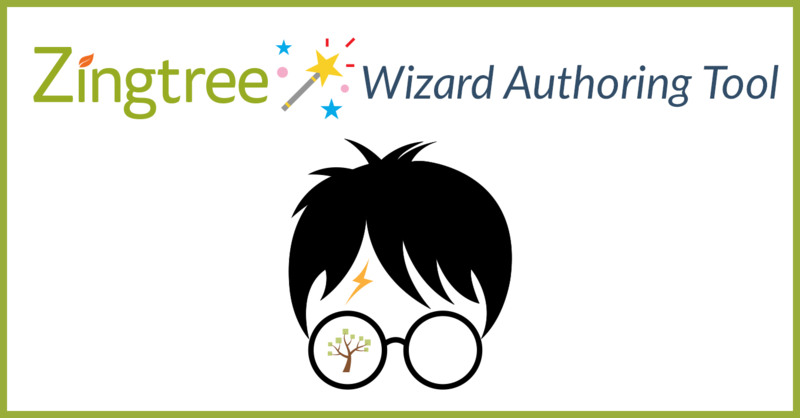 With the Wizard, you’ll be prompted with a simple form-based approach to generate your tree. The interface walks you through the decision tree building process while you provide the questions (and answers) that your end-users will see and navigate through. Another option is to use the Designer tool to draw out a decision tree in an easy-to-digest, “white board” style. On just one screen, you’ll be able to create the nodes for your decision tree, along with all of their connections, to see exactly how the tree will flow and function. Overview is a “built from scratch” form-based option for creating decision trees one node at a time. The editor consists of amazing tools for refining your decision trees – perfect for content-heavy decision trees and those who really know what they’re doing. Keep your writing style and language in mind when making a decision tree, and adapt your strategy based on what kind of information is being gathered or presented. For instance, getting good data is dependent on decision tree questions that take a quantitative approach. It’s important to always keep track of the health of your decision trees with Analytics & Reporting features. Additionally, you can receive direct feedback from end-users; these tools together make it easy to continually optimize for best performance. When in doubt, A/B testing using Logic Nodes in Zingtree is incredibly helpful for trying out different messages or offers, to see which performs the best. Zingtree makes it easy to build question & answer style troubleshooters, scripts, sales filters and more to satisfy your customers, your agents and your business needs. Contact us to learn more or get started today!